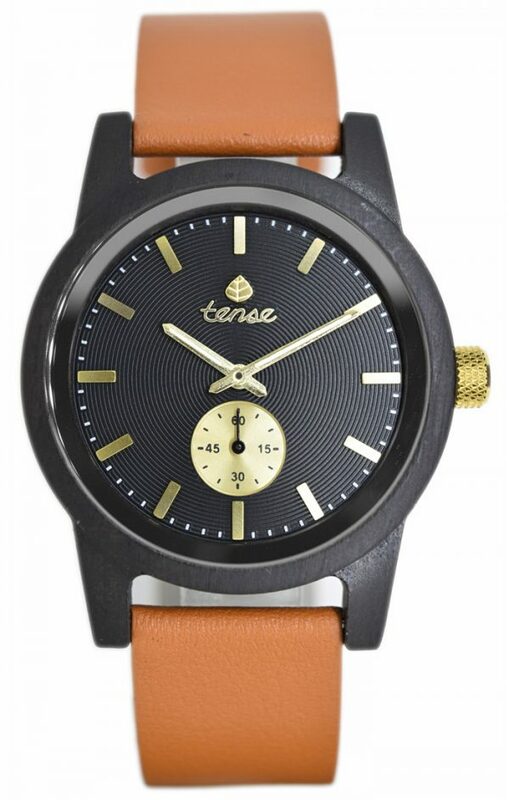 This Tense unisex watch with a wood case and leather strap shows hour, minute, and second markers on a round dial. The Hampton Leather Watch has a dial made from 100% recycled wood. Other Hampton styles available in the store. Call or come see us to check them out!